Trick or treat time can be a memorable, fun experience for any child. Our top suggestions for making trick or treating a positive experience for your child with autism involve focusing on SAFETY and STRATEGY. SAFETY: Remember that some children may not be comfortable in the dark — especially walking around outside at night. We recommend taking flashlights (and spare batteries), glow sticks and even wearing light-up sneakers while you are out to make everyone more visible. STRATEGY: Many children often do better when they have a routine and know what to expect from the experience. We recommend planning the route you wish to walk ahead of time and having a conversation your child about which neighbors and which houses you plan to visit. Then, if possible, practice walking the route a day or two before the big night. Try keeping the rest of your evening routine the same as every night. Start trick or treating festivities early so the rest of your evening routine is as normal as possible. Choose costumes that are fun, not scary, that make your children easily visible in the dark and during dusk hours. Place an identifying marker with (or on) your child in case of an emergency. Consider: Using a marker to write your name and number on their arm, or placing a name tag on them with your contact information. Work with your child to create a neighborhood map of the planned route. Then, during the evening, have your child cross off houses after they have visited and help them prepare for the next one. Practice the route during the day to help your child become familiar with the path you will be taking on the big night. Practice the sequence of trick or treating to help your child familiarize themselves with what they’ll be doing and saying. For example: First, you will knock on the door or ring the doorbell. Next, someone will answer the door and you will say “trick or treat”. Then, you will hold out your bag for candy. Then, you will say “thank you”. Last, you will walk down the driveway and visit the next house. Read a few children’s books about trick or treating to help your child visualize and prepare to what to expect. This should also help them associate trick or treating with a positive experience. Take a first aid kit, bottle of water and some snacks – You never know what will happen. Bug spray, extra flashlights (and batteries), noise canceling headphones and an umbrella could also come in handy. Check your child’s candy when you get home before they start eating it. Some treats may contain ingredients your child is sensitive to. Or, may be a consistency they don’t know how to eat safely. Practice visiting a house your child is familiar with before the big night. Reinforce the victory by celebrating with a special treat or small toy. You can also practice trick or treating in your garage by having your child hand out candy to kids who are pretending to come to “trick or treat”. With all that being said, be comfortable and know your child’s limits. If your child can only handle a few houses, then let them just visit a few houses. Return home before a potential problem behavior arises and praise them for doing such a good job. Do your best to end the whole experience on a positive note. If trick or treating isn’t an option for your family, your child could always participate by helping to pass out treats from home. We hope this helps you, your child and family have a wonderful Halloween trick or treating experience. If you need an assistance with your child and their autism diagnosis, please do not hesitate to reach out. We work with with a range of special needs, including Asperger’s, autism, speech delays and other developmental and intellectual disabilities. Summer fun at Behavior TLC has come and gone, and while we’ll miss it… many memories were made! If you didn’t have the chance to join us for Summer Camp 2018, you sure missed out! Our summer ABA program mixes the best parts of summer camp and a structured ABA program. This created a fun-filled, minicamp sessions for development, education and individualized curriculum. 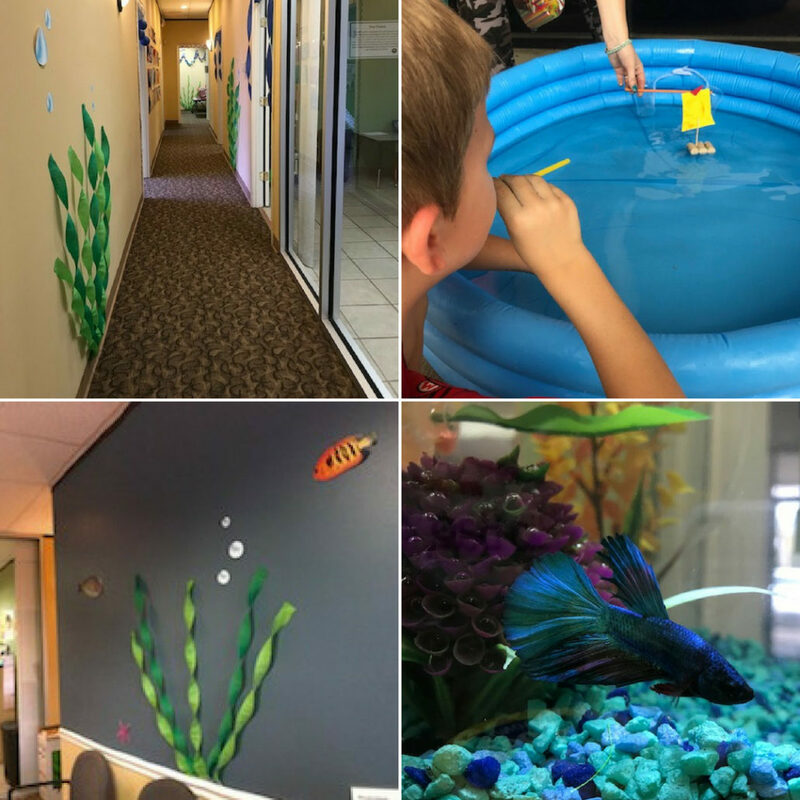 With five sessions throughout the summer, we had the chance to learn about everything from aquatic animals to local heroes such as our first responders… Here’s a peek at some of our favorite weekly activities! 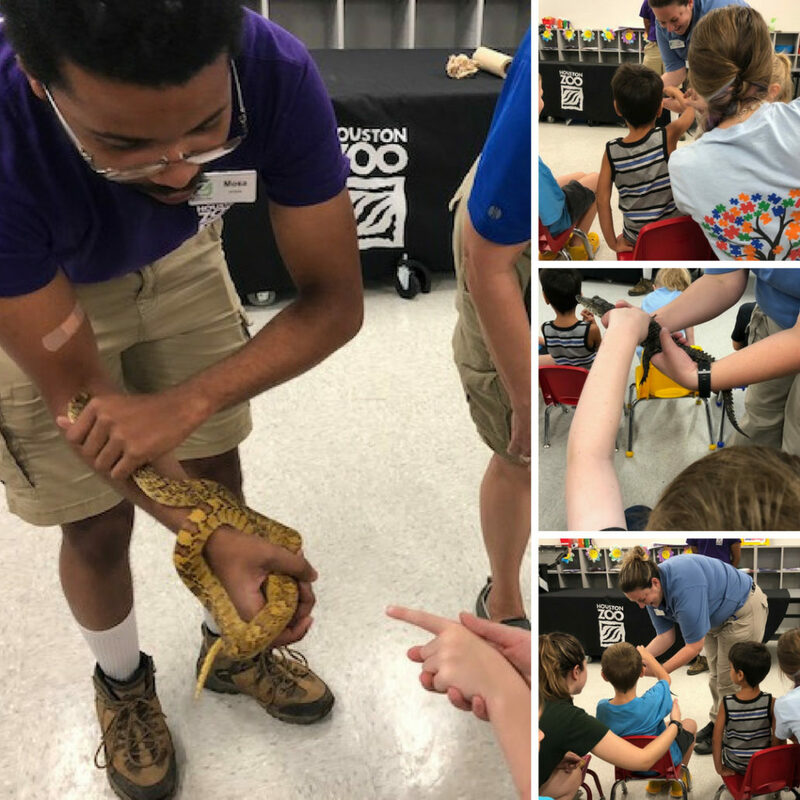 We kicked off the summer series strong with a visit from the Houston ZooMobile. The ZooMobile and its team of experienced staff travel to schools and community events throughout the Houston area providing unique, educational experiences. This allowed our campers to come eye to eye with fascinating ambassador animals, engage with Zoo Educators, Some campers may even be inspired to change behaviors that will someday help animals in the wild. BTLC campers had an awesome time learning and interacting with an alligator named Squeak, a turtle named lunchbox AND a snake named Jolt! Campers enjoyed learning about their habitats in the wild and look forward to another visit from the Houston ZooMobile soon! The second week of camp was SUPER and wouldn’t have been complete without a visit from Houston Hero Headquarters where campers experienced the story telling abilities of Joker and Batman in the SAME ROOM! Campers donned their capes, pledged to protect their community and completed a SUPER challenging obstacle course! Campers were also encouraged to imagine having their own superpowers being encouraged that there is nothing they cannot achieve if they are dedicated and work hard. Campers truly dove into summer session #3 with oceans and water week! A special presentation from the Moody Gardens education team all about coral and the communities in the ocean was followed by some aquatic fun of our own… educational fishing throughout the day! Everyone met our clinic betta. Campers got to experience a multitude of hands on actives and educational material to inspire their love and appreciation for the ocean and all the creatures it contains. As if camp hadn’t already dazzled our summer friends, session #4 became extra MAGICAL with MR. MAGIC’s arrival! 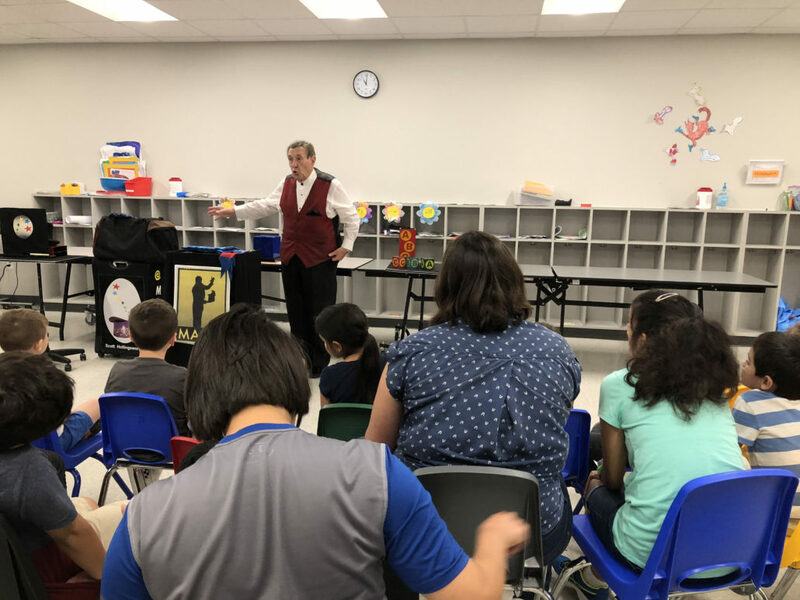 His “Yes I Can” magic show was inspiring, exciting and highly enjoyed by our campers! His comedy magic show is designed to encourage children to believe in themselves and respect other people. This is how our campers learned why they are a special, unique and valuable person. Plus, they learned the importance of school, study and hard work. The last week of camp, the ground rumbled and the walls shook throughout DINO WEEK. We learned all about our prehistoric friends including where they were likely found and what yummy treats they enjoyed… While they may be technically extinct, they really came alive this week! We bet your campers came home full of new dino noises and names to add to their play time. 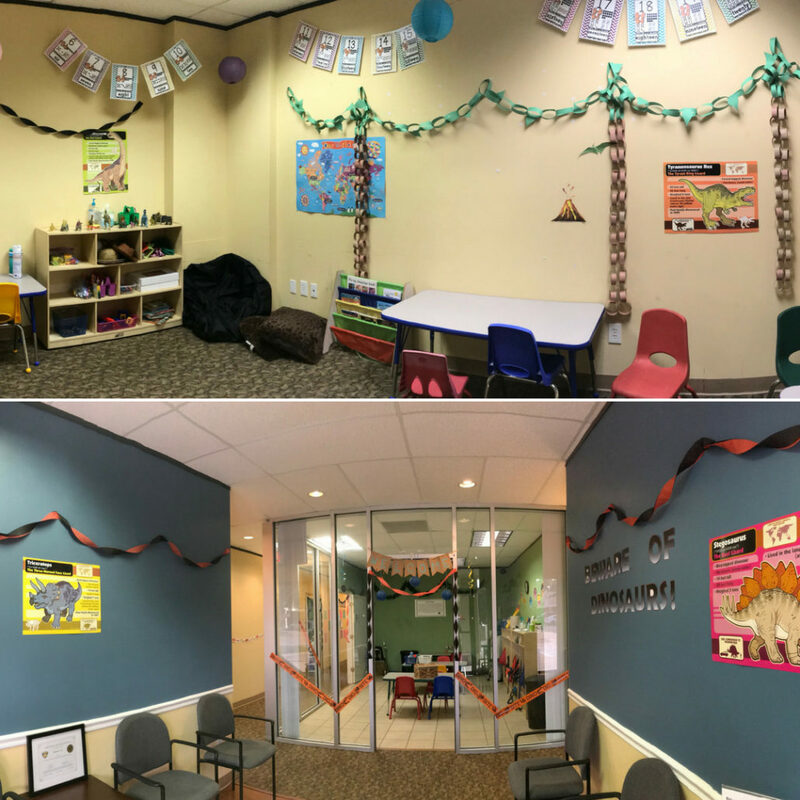 At Behavior TLC, it’s important that all our students receive a healthy balance of specialized therapy focused on positive reinforcement while also partaking in traditional student activities. Our summer camp sessions allow us to do provide exactly that for our students. Interested in additional BTLC services? Our students come to us with all ranges of special needs, including Asperger’s, autism, speech delays and other developmental and intellectual disabilities. Send us a message; we’d love to chat! Houston Summer has officially arrived and we’re feeling the heat! 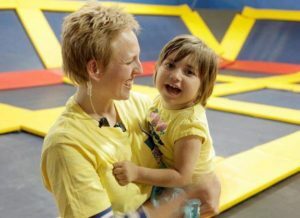 While days at the pool and afternoons at the park are always nice, we thought we’d share a list of our favorite sensory-friendly activities to take advantage of around the Houston area; allowing you to beat the heat and have some fun! Our favorite sensory-friendly Houston activities…. Studio Movie Grill – Offered twice a month at 11:00 am. 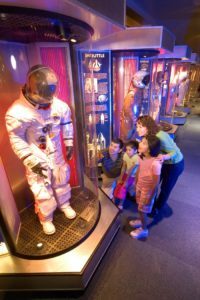 Explore Space at Space Center Houston! Climb and Explore at We Rock the Spectrum Kid’s Gym! Get your JUMP on at Sky High Sports every Tuesday! We love when local business expand their knowledge to include children on all spectrums! Do you know of more hidden gems that are autism-friendly? Send us a message and we’ll check them out! What activities are you most looking forward to this summer? Be sure to tag BTLC in all of your adventures!